﻿ Report from Dewayne and Rita Shappley. July, 2013. 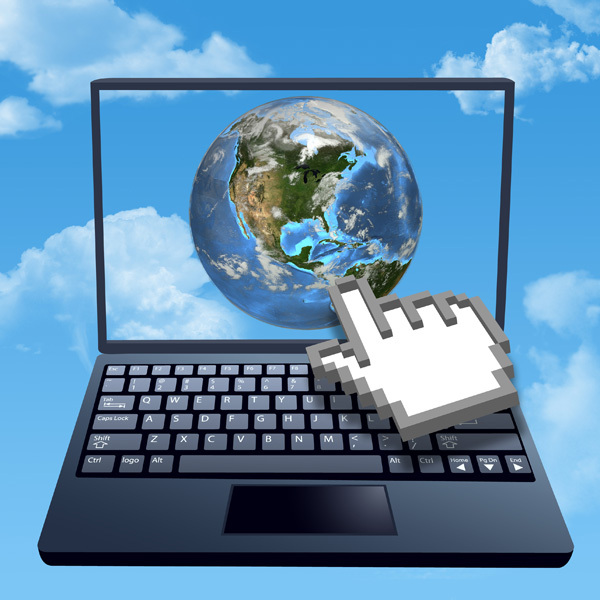 As the computer hand is pointing right at Central America, with South America to the lower right and North America to the upper left, so do I try to keep before me, when I publish to the Internet, the fact that, each and every week, more than 21,000 Spanish-speaking people will make contact with us. We prepare and make available Bible materials in several different categories. Each week, more than 21,000 will actually visit our sites in search of information on some subject of a spiritual-religious nature! I consider that nothing short of marvelous, and praise the Lord for the privilege of participating in this way in the works of His Kingdom. The site is www.iglesia-de-cristo.com. This one is to be dedicated almost exclusively to positive teaching on the church God conceived and his Son established. For years, I have thought it important to have a site identified specifically with the name “iglesia de Cristo” and when the above domain name became available I obtained it. Antonio designed the site and set it to functioning on the Web, no small task to be sure. Though you may not understand Spanish, we invite you to take a look at some of the Pages. Beautiful graphics, keyed to content, including a “slider” of graphics on the Home Page which slowly move horizontally or at an angle, a most pleasing effect to me. They also serve as links to subjects. We project using the slider module on different sections of the site once several studies are added to each one. The monthly hosting cost is only $2.95, though there are other initial costs. Several studies are already available on the site. With regard to www.editoriallapaz.org, the site we have been maintaining and expanding since 2003, a number of technical improvements were made in June and July. As an example, all graphics, or almost all, now have a slight shadow box, making them stand out somewhat on the Page. I continue to repair and improve files affected by the changeover from Microsoft FrontPage to Adobe DreamWeaver. Beginning this month, the stats reports on the sites will show visits registered to both sites and to www.vimeo.com, where we have several hymns and one sermon available in video. -Puerto Madryn, Chubut, Argentina. July 18, 2013. “I would like to know how to make contact with the church of Christ nearest to my city. I will be awaiting your reply. Blessings.” Jorge Vargas. -Puerto Madryn is a city on the Atlantic coast, to the south of Buenos Aires, about half way between Buenos Aires and Villa Gisell, this city being where a congregation was established about three years ago through our Internet site. We forwarded the e-mail by Jorge Vargas to congregations in both places, as well as to Hugo Fuente, in Córdoba. Puerto Madryn draws many tourists who go there to see whales swimming and breaching close to the shoreline. -Santa Barbara, Honduras. July 30, 2013. “Blessings, brethren. What an excellent Web Page.” Carlos Edgardo Perdomo Hernández, of the church of Christ. If you would like to share this report with contacts on Facebook, Twitter, etc., the icons below may be used.